Loafing Odysseys: Chalk it Up. 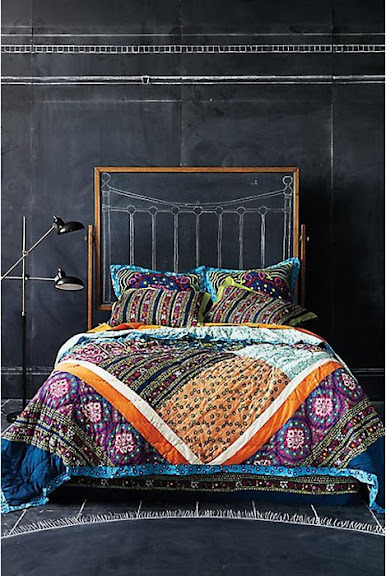 Digging these pictures from Anthropologie's July Catalog. They strongly remind me of Tom's room in 500 Days of Summer. 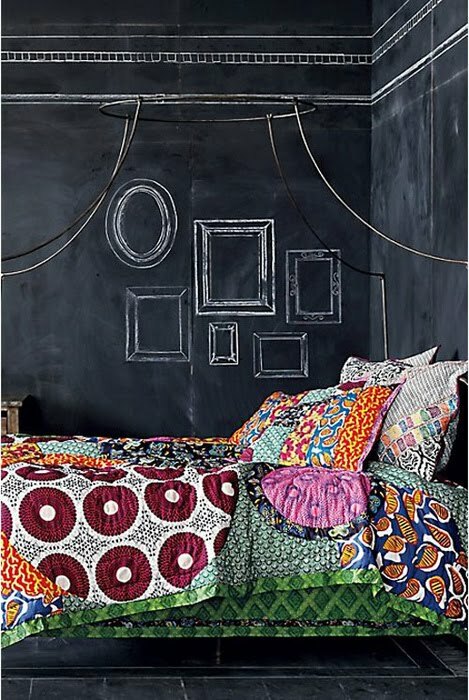 I love how a mini chalkboard is used as a headboard in the first photo. The floor is a little intense though -- I'm not so sure how I feel about a hand-drawn rug. ...oh, and apparently chalkboard tables are next. 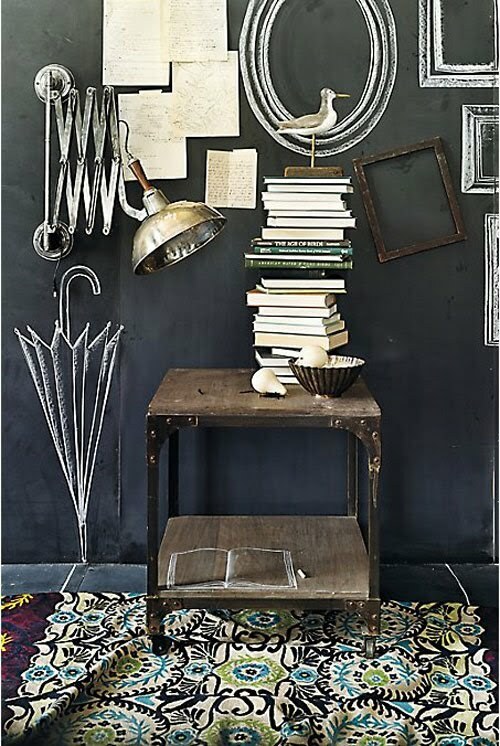 DIY time, anyone? I am liking the whole chalk-board trend at the moment. I would love some around the kitchen. I have chalk in my room! It's lovely because I am constantly changing it to fit my mood. So, I am moving to India this year to volunteer. I'm so so so excited about it and am going to be working in rural areas trying to provide basic services that we all take so much for granted. It is going to be an amazing trip and I'm fundraising for it right now! If you spread the word you get a MOOD RING!